Have you heard about Dynamic Sequencing Yoga but aren’t sure what it means? This relatively new type of yoga practice has been developed with the goal of helping women lose weight with three stages of increasing difficulty. Keep reading to find out exactly what dynamic sequence means and why it’s claimed to help your weight loss goals. Despite being thousands of years old, the yoga world is constantly evolving. New types or disciplines emerge, different teachers become popular and innovative methods develop. Some of these are just fads. Others are here to stay. One of the newest phrases in the yoga lexicon is “Dynamic Sequencing Yoga.” This is different to vinyasa – which is the conventional term for a flowing sequence of poses. In this article, we’ll go through what dynamic sequencing is, who created it and how it might benefit you. What Does Dynamic Sequencing Yoga Mean? The phrase “Dynamic Sequencing Yoga,” as far as we know, was first used by Zoe Bray-Cotton. Zoe is a certified yoga instructor and personal trainer who has taught a variety of yoga styles over the last decade. In her latest course, which is called “Yoga Burn,” Zoe developed a three stage process for losing weight through yoga practice. These three stages are collectively known as Dynamic Sequencing. Stage 1 – Foundational Flow. As the name suggests, this is all about building a solid foundation of strength and fitness. Stage 2 – Transitional Flow. In this phase, you’ll combine the poses you learned in the first phase in a smooth and dynamic sequence. This is a form of exercise yoga that’s designed to increase your heart rate and burn more calories. Stage 3 – Mastery Flow. 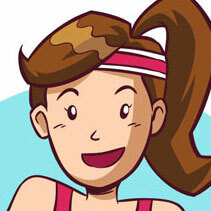 During the mastery phase, the heat is turned up on the dynamic sequence to burn a larger amount of calories. What is the Benefit of Dynamic Sequencing? The main benefit of Dynamic Sequencing is that it continuously challenges your body to improve. This is a variation of the progressive overload concept, which states that your body must face continuously more difficult workouts if you want to force it to change. While the goal of Yoga Burn is to help women build a fitter, feminine body shape, the same concept can be applied to any type of exercise. Another benefit of Dynamic Sequencing is that it allows people of any standard to benefit from the program. Even if you’ve never done yoga before, the foundational stage develops the basic muscle strength required to move deeper into the program. Also, by continuously challenging your body you’ll avoid plateaus. These are a common frustration when tackling any type of fitness routine – and they can ruin your motivation and be difficult to break through. On the other side of the coin, Dynamic Sequencing Yoga is claimed to be designed for a specific purpose: to help women lose weight. The goal is to continuously challenge your body to burn more calories while building increasing strength (which is vital for avoiding injury). But for regular yoga, where your goals might be to gain flexibility, core strength or other health benefits, standard types of yoga (such as vinyasa) are a better choice. In many ways, Dynamic Sequencing Yoga isn’t anything new – at least when applied to the fitness world. The concept of increasingly demanding workouts to force improvement is common practice in almost every sport or discipline. The concept has not, however, always been applied to yoga. This is fine if you want to make gradual improvements to yoga while gaining benefits such as reduced stress. But if you want to burn fat and lose weight from yoga, you need to have a clear plan for consistently challenging your body to work harder. Whether Yoga Burn or Dynamic Sequencing does that is another matter entirely – but we think it could be a step in the right direction.